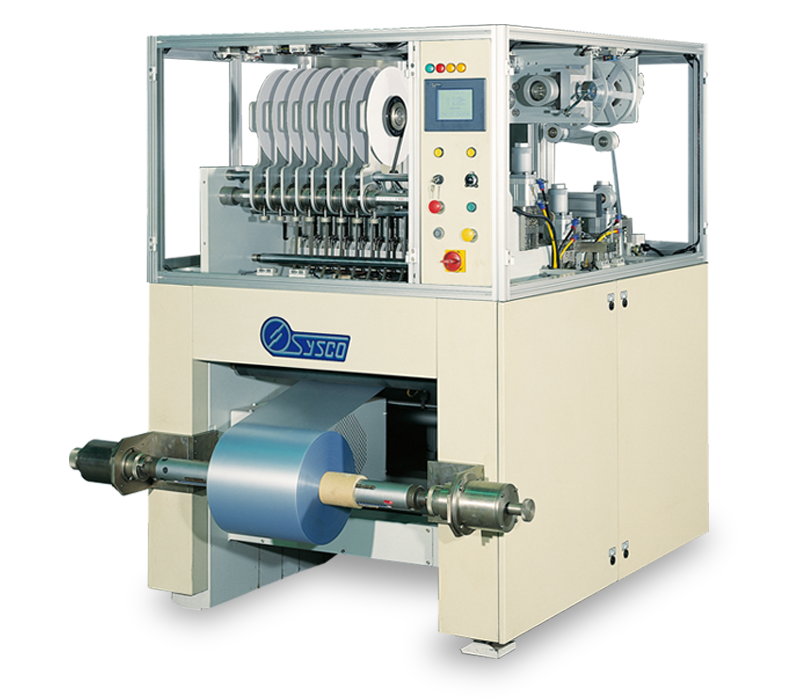 The MTL is a fully automatic tape-laying machine that lays roll/sheet magnetic tape onto a variety of roll/sheet overlay materials. Regardless of the material is a roll or a sheet type, Sysco provides the corresponding models as follows. 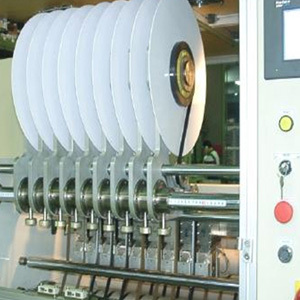 MTL is a fully tape laying machine that lays magnetic tapes onto a variety of roll or sheet material. The pressure and heat of each laying roller press can be individually controlled & adjusted, minimizing the surface area subjected to heat. 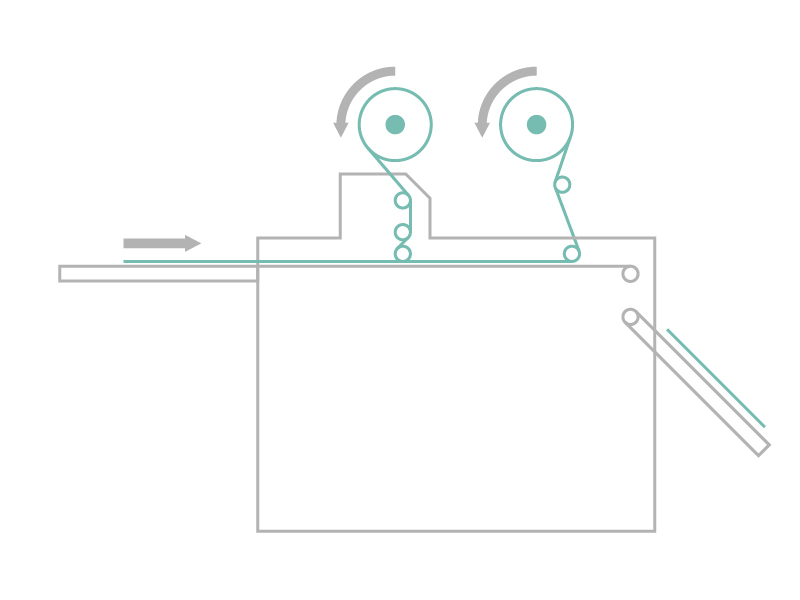 Servomotor feeding system performs a laying accuracy of ±0.15mm. 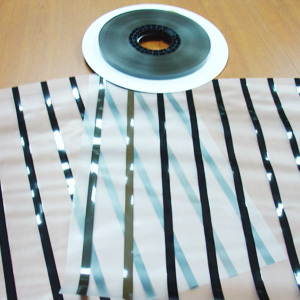 Suitable for material ranging 0.04~0.2mm in thickness, 250-700mm in width. Operation speed can be adjusted according to the needs of the overlay material, up to a maximum speed of 10 meters a minute, normal operating speed is 5~10 meter per minute. 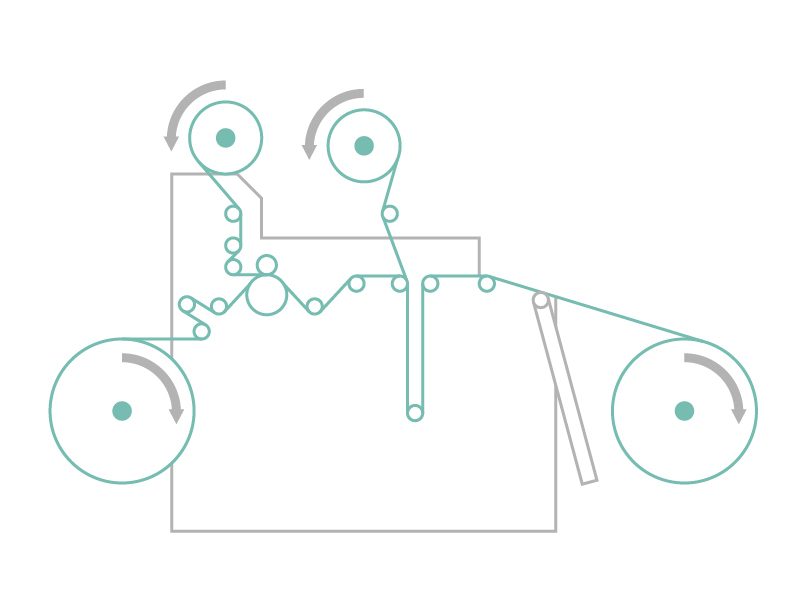 The pressure and heat of each laying roller press can be individually controlled, minimizing the surface area subjected to heat, as well as allowing for fine-tune adjustments. The multiple pinch rollers hold the material securely in place throughout the application process, allowing for perfect parallelism of the magnetic strips. The operation area is entirely enclosed by clear glass safety doors increasing operator safety, without decreasing the visibility of operation. Error code diagnostic display provides for easy trouble shooting. 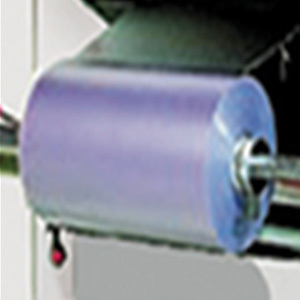 Optional product rewinding stand for roll-to-roll laying process. Optional auto sheet feeder and finished products auto stacking unit for sheet-to-sheet fully automatic laying process. Applies to all kinds of material required with magnetic tape tape, such as credit cards.